According to South African trade unions the national Government needs to set a new economic growth path based on several new taxes and a more active and aggressive role in the economy. 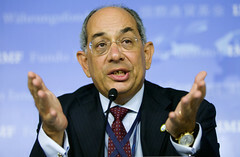 Growth in Egypt’s economic activity and effectiveness of recent tax reforms have led to an extra EGP 12 billion (approx. USD 2.11 billion) in the Government’s budget during the previous fiscal year. The South African Revenue Service (SARS) has announced that the 2009 year broke records in tax return efficiency, filing and improved compliance.